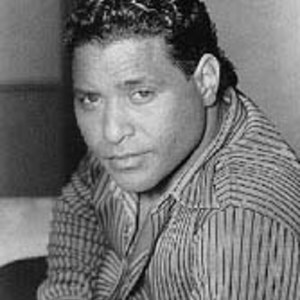 Singer, songwriter, and producer Stevie B. was among the leading lights of the Miami dance music scene of the late '80s, later reaching the top of the pop charts with the mega-hit "Because I Love You (The Postman Song)." A native of South Florida, he worked a variety of dead-end jobs ranging from car-wash attendant to fast-food server before scoring his debut hit with 1987's "Party Your Body," which grew from a regional success to national club smash; it was also the title track of his 1988 debut LP, which went gold. With 1989's In My Eyes, Stevie B. launched his first Top 40 hit, "I Wanna Be the One"; its follow-up, "Love Me for Life," soon cracked the Top 40 as well. With 1990's "Because I Love You," he reached the pinnacle of his success, with the single's accompanying album Love & Emotion also generating a pair of Top 20 hits, "I'll Be by Your Side" and the title cut. However, with the subsequent rise of alternative rock, Stevie B. 's light dance-pop sound lost much of its mainstream appeal, and he never again recaptured his previous success, with records including 1992's Healing and 1996's Waiting for Your Love appearing to little notice. The Best of Stevie B. followed in 1998.